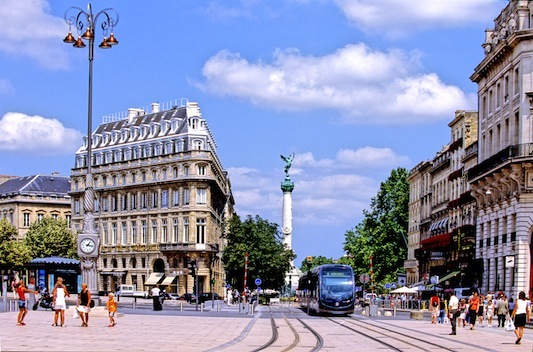 Bordeaux is a city situated in the south-west of France, and it is the sixth largest urban area in the country, which consists of about one million people. Moreover, the historic part of the city is listed as one of UNESCO’s World Heritages, and it dates back to the 18th century. What is needed to be said is that the city is not only known for its remarkable architecture, but also, and, maybe, chiefly for the wine produced in its area. The suggestion is to divide the time between the visit the city itself, and the wine-producing châteaux, which can be found everywhere nearby the city. For the first part one cannot miss neither the outstanding view of the Place de la Bourse with its fountains, nor the many chatedrals, such as the Saint-André Cathedral, which dates back from the 12th to the 15th century. As for the châteaux, it is worth wasting some time walking through the little towns nearby, such as Saint-Émilion, to find some châteaux where it is possible to taste a good wine, meanwhile visiting the cellars where some of the most expensive wines of the world are produced. Bordeaux, in fact, is very well known for its great wine tasting. You can choose between having a guide telling you all the wine history or exploring the area by yourself, drinking glasses while eating some snacks. All the guides can be found on internet and, even if they are very expensive, be smart enough to choose a wine expert instead of a fake one who asks you for a couple of euros less. There is one last thing to see which cannot be missed: it is Pyla’s dune, that is just some 60 kilometers away from Bordeaux. It is the biggest sand hill in Europe, it is about 3 kilometers long, 117 meters high, and it dates back to the 17th century.